The destructive and wasteful application of invasive species biology as promoted by The New York Times. Invasive species biology is based on the assumption that anything done by an “invasive” is by definition bad. According to the invasive species folks, cane is a sneaky invader that has driven out native plants and animals. The Rio Grande in this area (starting about 20-miles due south of Circle Ranch below Juarez, and continuing downriver alongside the state and federal Big Bend parks) is a scenic but depleted ditch, essentially devoid of plants. River water is polluted. Health authorities advise against eating the few fish it supports. On the bright side, nature tries to heal herself and whatever will grow alongside the river slows water, induces meandering and encourages wildlife and plant diversity. Such “invasive choking” deepens, cleans and cools the water, affords vegetative protection not only for fish but all the plants, animals and soil life without which the marine system fails. Unlike what NYT claims, the changes within the plant community along the Rio Grande are not the result of flooding. To the contrary, they result from lack of flooding. The Rio Grande has flooded seasonally for millions of years and its native plants, like cottonwood, need floods for seedling germination. It is the damming, poisoning and channelizing of this once mighty river, which is as abused as the Ganges, that has changed its ecology and consequentially the plants that live alongside it, not the incursion of evil ‘invaders” like cane and salt cedar. These plant shifts are symptoms of dams, withdrawals for the irrigation of monoculture crops like cotton, and agrochemical runoff. Despite its many good attributes including an amazing ability to survive in the degraded systems, salt cedar was branded an “invasive.” What was the solution? Without consent of affected landowners like us, the people featured in this article released an exotic beetle into our deserts. This invasive exotic insect is now at Circle Ranch where it has killed our salt cedar and other desirable trees and plants. None of the universities, agencies and conservation organizations that make up Big Wildlife objected to the release, which was supposed to restore riverbanks. Instead it has resulted in decreased wildlife diversity, increased erosion, intensified fire hazard and more cane. Contrary to predictions by proponents including Texas A&M, water flow hasn’t increased, salinity hasn’t decreased and cottonwoods were not restored. Why not? Because salt cedar was just a symptom, never the root cause, of cottonwood decline. Eradicating the last salt cedar will not restore cottonwood where it can no longer grow. Alongside this inappropriate response is the “invasive species” eradication program practiced by the agencies with the encouragement and financial support of the universities and the conservation organizations. There has been a massive attack on animal biodiversity all along the Rio Grande, especially in state and federal parks. These italicized, scientific-sounding terms are undefined, empirically hollow buzzwords, which mean anything the invasive species proponents want – whenever, however, and wherever they choose to apply them. The solution to the Rio Grande’s riparian area decline is large nomadic grazers and abundant prey animals, supporting and held in check by diverse and abundant predators. Many targeted animals would eat Rio Grande cane and in so doing stimulate the plant community’s recovery. My experience with cane in marshes and along riverbanks extends over 50 years in the management of our family’s Swan Lake Ranch, the 3,600-acre bird foot delta of the Guadalupe River. We are just downstream from the Guadalupe Wildlife Management area in one of the most ecologically important marsh systems on the Texas Gulf Coast. Today, as on the upper Rio Grande, cane is considered a problem on the lower Guadalupe, but 50 years ago the problem was lack of cane. Let me explain. In the 1940s, nutria (coypu), a fur-bearing South American rodent similar to a muskrat, escaped from fur farms and spread across the Gulf Coast. Nutria love cane. By the mid-60s, cane was gone. Nutria were everywhere and the marshes were bare. Not having cane was believed to hurt the duck hunting, so we tried to kill out nutria. The year I turned 25, I personally shot 300 nutria, and sent them for tanning to the New Method Fur Tanning Company in San Francisco. I had a crazy Russian furrier in San Antonio make my bride a 30-pound, full-length coat of my design, which she indulged me by wearing even though it cut off blood circulation to her left arm. As to the nutria population, we never scratched it. About that time Texas decided to protect it’s alligators. Once it was illegal to kill them, alligator numbers exploded. Within 15 years the alligators had eaten most of the nutria; the invasive species folks and landowners forgot all about nutria but were now up in arms about cane proliferation in former coastal prairie. It turns out that cane and nutria cycles were symptoms of predator removals. Likewise, cane increases or decreases along the Rio Grande are symptoms of removing animals that eat cane, or their predators; not ‘invasions’ of evil ‘aliens’. Again mistaking symptoms as causes, the wildlife bureaucracies have doubled down on eradications. Their first ‘solution’: Burn the cane. This is a complete waste of time and money (fire invigorates cane), and the primary topic of the NYT article, which celebrates the effort while acknowledging its futility. Their second ‘solution’: More poisons, especially glyphosate (Roundup®) the ubiquitous pesticide that has been identified as carcinogenic and associated with multiple human diseases. This poison is particularly devastating in marine environments, especially with marine invertebrates. It won’t remove cane either, but it will poison 100-miles of river with long-lasting toxins that will wash all the way down to Brownsville and out into the Gulf. The depopulation caused by narco-violence has the unintended benefit of creating a potential wildlife haven in this no man’s land, similar to the demilitarized zone between North and South Korea, where a wildlife paradise has developed within the DMZ. With border villages gone, wildlife could quickly recover (as it did within the Korean DMZ) along this abandoned 200-mile stretch, which in the Big Bend area adjoins enormous parks on both sides of the river. The “Wall” securing the Borderlands will be of different things in different places. As anyone who has tried to walk through a marsh understands, riparian marsh restoration will increase security. Fewer areas will be easily crossed or tunneled; remaining areas to contain and monitor are reduced. A “Wall” that respects ecology will benefit the desert riparian ecosystem. To help this happen, we must start by understanding that to be healthy, desert ranges need three things: (1) Large, concentrated migratory bison herds, or cattle grazed in a manner that mimics bison’s migratory patterns; (2) a lot of predators of all sizes; and, (3) a high, diverse population of prey species. Remove any of these and the system collapses. Resume periodic cattle grazing that mimics bison, in these areas. Increase prey by restoring eradicated species. Stop agency attacks on bear, cougar, bobcats, coyotes, etc. and restore Mexican Wolves. As nutria and beaver reengineer water, control cane, and restore marshes add alligators to protect riparian areas, like wolves did in Yellowstone Park. The public will be able to use its parks and see animals living in recovering habitat that is more secure than the lawless wasteland that bad science, worse practices and ineffective foreign policy have created. BIG BEND NATIONAL PARK, Tex. — There are places in the desert canyons of far West Texas where the border between the United States and Mexico amounts to an olive-green ribbon of water, so shallow that canoes scrape to a halt on the rocks. 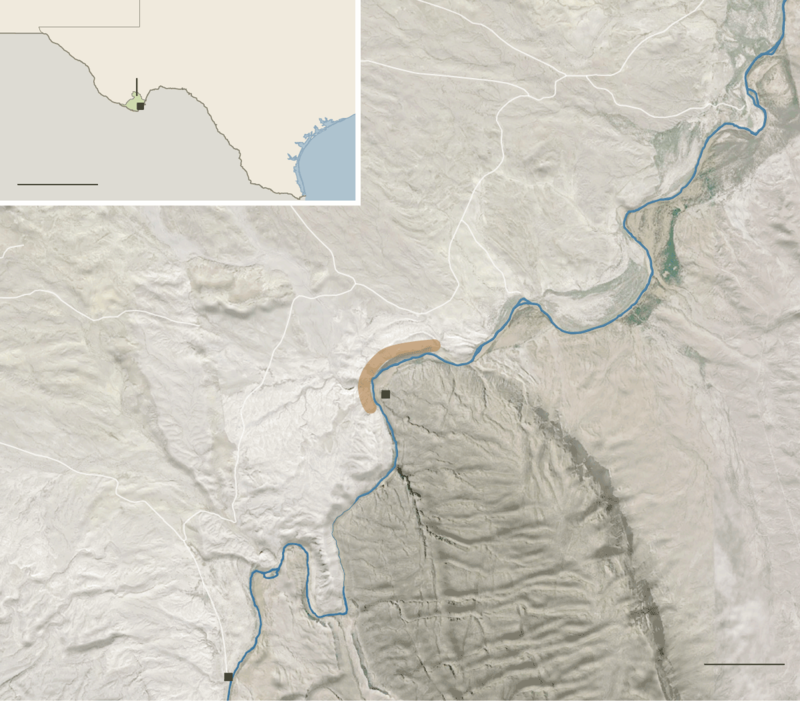 Here the Rio Grande — the border that has separated the two countries since 1848, with the signing of the Treaty of Guadalupe Hidalgo — narrows to a pinch. At times it is as wide as a school bus is long. At other times it is not even that wide. An owl can make the crossing with one or two flaps of its wings. 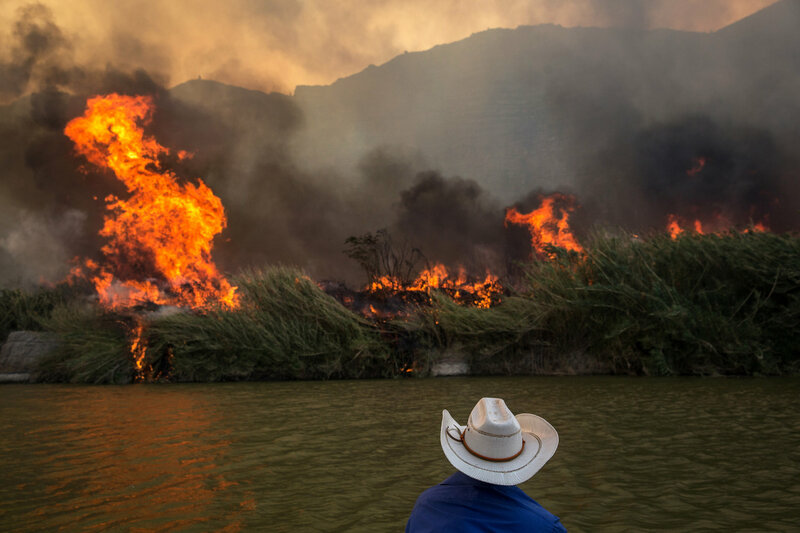 Mike Ryan, Big Bend National Park’s river ranger, towed a canoe packed with tools and supplies through the Rio Grande to support the Los Diablos firefighters igniting stands of giant cane during a prescribed burn. In these remote places in Big Bend National Park, the Rio Grande seems void of any power to divide. There are no boundary lines, no signs, no walls, no border agents on either side. To journey here to the vast, empty canyons of West Texas is to watch the border itself all but vanish as a physical and political space, an extraordinary feat in these times when the notion of the border often seems more a political construct than a geographic one. Consider Los Diablos and the cane burns of the Rio Grande that played out this month. Los Diablos are a team of Mexican firefighters who are part of a group of Mexicans and Americans including firefighters, conservationists and park rangers. They travel along the most desolate stretches of the river not to put out fires, but to set them in a controlled burn meticulously planned to kill giant cane, a tall bamboo-style invasive grass that grows in dense patches on both sides of the river. The cane chokes and helps narrow the flow of the Rio Grande, which contributes to the frequency of flooding and to the burying of habitats for native plants and fish. And while the firefighters cleared the riverbanks, it felt as if for a few days they cut through the political clutter surrounding border politics as well. Instead of the politics of immigration laws, drug smuggling and Donald J. Trump’s wall, the border became an elemental place of earth, water and fire, where Americans and Mexicans actually got things done together. 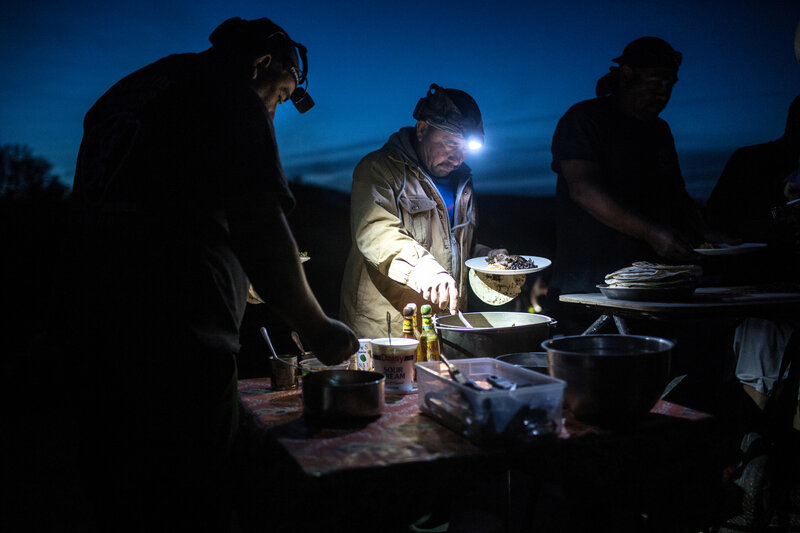 I spent three days and two nights watching the cane burn on the Rio Grande, where licks of flame stretching 10 stories shoot into the air in an otherworldly landscape of limestone canyons, red-tailed hawks and village dogs and donkeys. I slept in a tent on a riverbank in Mexico, and no one asked for my passport. As smoke filled the sky, I stood behind an American firefighter on the Mexican side who made sure a Mexican firefighter on the American side across the river was safe. Borders blurred. Life went on. Los Diablos came here to one of the biggest sections of giant cane on the American side of the river — a mile-long thicket, with many stems standing more than 15 feet tall — that has come to be called La Milpa de Diablo, or, roughly translated, the Devil’s Cornfield. They are ranchers and construction workers from riverside Mexican villages with names like San Vicente who are trained in the United States by the National Park Service to help fight wildfires in Texas and other states. Los Diablos are a burly, gregarious lot, who wear biker bandannas under their helmets. Some are brothers and some are cousins. None take themselves too seriously. About an hour before La Milpa was ablaze, on a whim and a bet, they used their walkie-talkies to order chivo — goat — for the next morning’s breakfast. Two men on horseback, accompanied by four dogs, arrived on the Mexican side and handed over, just as casually as if they were delivering pizza, a freshly killed goat carcass and a stack of tortillas. 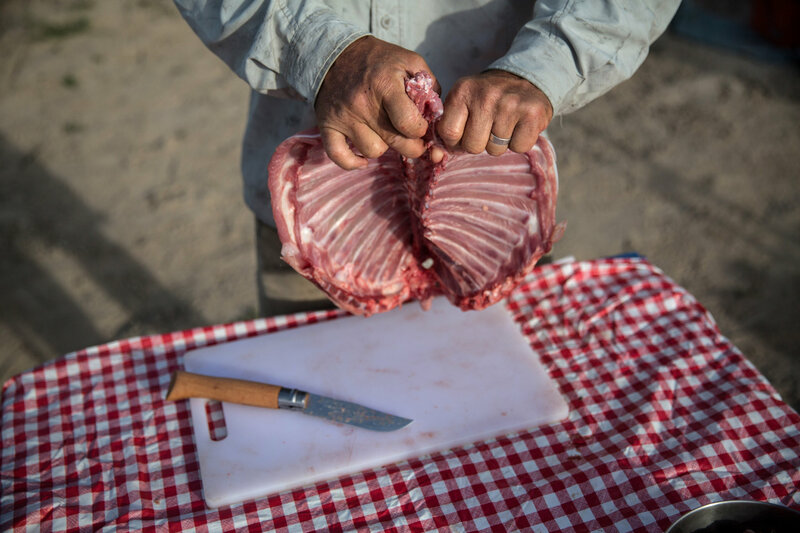 After breakfast the next day, I asked a member of Los Diablos, Jesus Galindo — a short but powerful man with a goatee whom I had watched rummage patiently through his canoe as he stood next to a wall of flame — what he thought of the chivo. It had been chopped and left to simmer in a tomato sauce for hours at the campsite. Mr. Galindo shrugged and said he preferred it grilled. The cane lines the river’s edge beneath canyon cliffs in sections of Big Bend that are impossible to reach by vehicle. The closest thing to a fire truck was the two-seat canoes the firefighters used. Their firehouse was a campsite on the Mexican side, where they used satellite phones but set a map at their feet, held down by stones, to plot the day’s fire. Richie Sinkovitz, 35, the burn boss trainee with the National Park Service, used a cane stalk as a pointer. The American and Mexican fire crew — six members of Los Diablos and several Americans from the Park Service, the Bureau of Land Management and the Texas A&M Forest Service joined by an observer with Mexico’s National Commission of Natural Protected Areas — shared equipment, bottles of hot sauce and tan lines on their sunburned faces marking the shape of their sunglasses. Their after-action meetings under the stars shifted between Spanish and English, led by the bilingual Mr. Sinkovitz. The name of the river itself lost its regional identity, with some of the Americans calling it Rio Bravo, as Mexicans do. They wore the same white hard hats, cargo pants and yellow flame-resistant shirts speckled with dots of black ash. It was hard to tell them apart at a distance, just as it was hard to see, along a bend in the river, where Texas ends and Mexico begins. 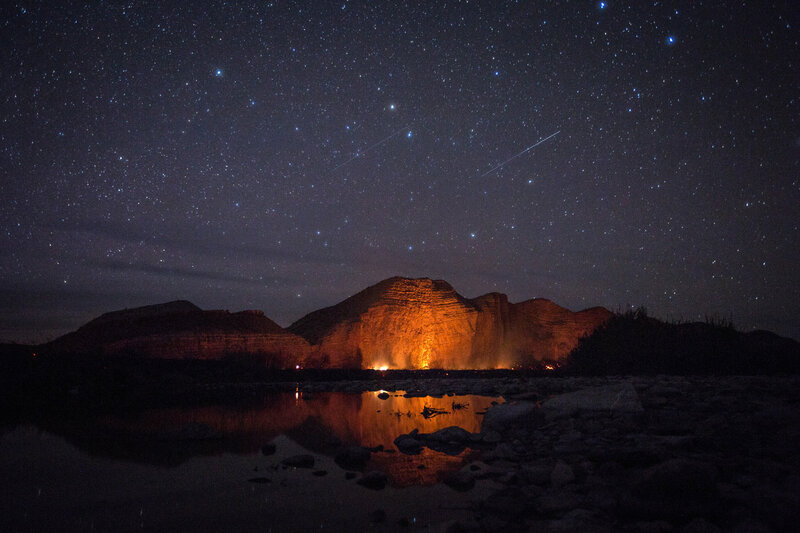 Our odyssey began with a bumpy van ride on an unpaved road down to the river in Big Bend. We were a six-hour drive from El Paso, and there was no cellphone service. Throughout our 14-mile journey on the river, the only way to reach the cane patches and La Milpa was by canoe or hiking. In addition to Mr. Briggs with the World Wildlife Fund, one of our guides was Jeff Kelsch, who works with Rio Grande Scientific Support Services, which provides logistical support on river restoration projects. But the main concern was fire, not water. Cane here burns quickly and intensely, but the fires simply die out on their own, starved for fuel — vegetation — in the desert canyons. The exploding air pockets in the cane’s hollow stalks pop and crackle like eerie applause. “It’s more like you’re at a machine-gun range,” said Ed Waldron, the Park Service’s burn boss who oversaw the operation. By the end of the trip, the crew had burned 110 acres of giant cane in a week on the American side. The fire only wounds the plants. Workers return a few weeks later to spray the blackened sites with a herbicide. For all the talk of devils and all the weaponry — the flare-gun-style coin launchers they pull from holsters — the firefighters were a playful, environmentally focused bunch. Much of their work was spent protecting mesquite and willow trees from the flames. During a delay, as the fire crew waited for the wind to subside, a Diablo sat at the river’s edge, molding the figurine of a horse out of the mud. He left it by his canoe, a pottery trinket amid what would soon be ash. The video below discusses marsh restoration on the Lower Guadalupe River. Many of these insights apply to the upper Rio Grande and its cane: Because gravity does not vary, the physics of water flow are the same everywhere. And riparian areas need animal impact of the right sort, and, decline without it. The best tool is biodiversity. Swan Lake Mitigation from Christopher Gill on Vimeo.